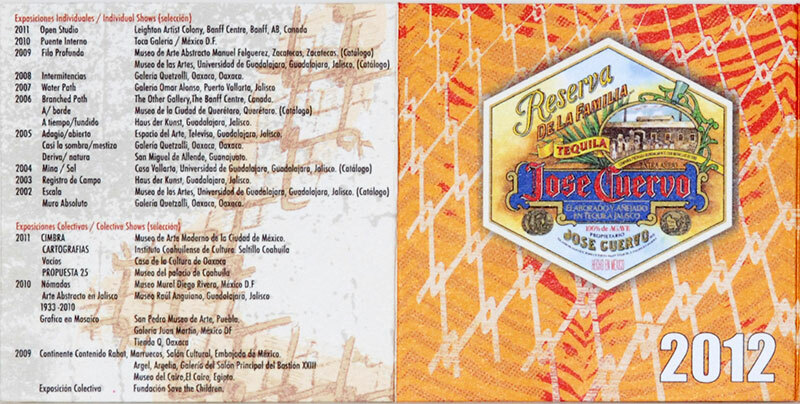 Aficionados and industry experts recognize José Cuervo Reserva de la Familia as one of the world’s finest spirts. It has been honored with several awards, including a double gold medal from the 2006 San Francisco World Spirits Competition. 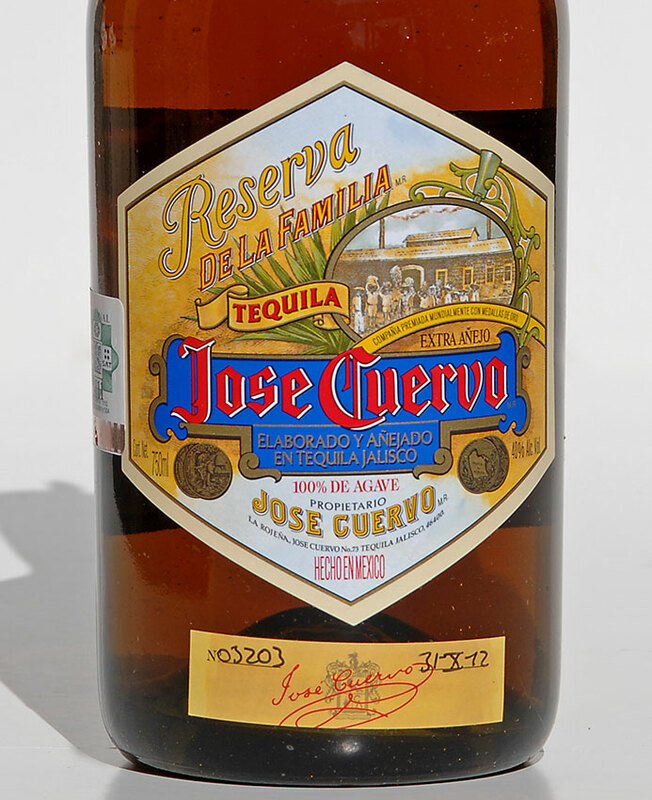 And, since only a limited number of Reserva de la Familia bottles are produced each year, the sipping tequila is considered a prized find. 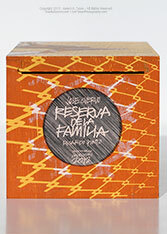 Aged in new French and American charred oak barrels, Reserva de la Familia has a full, mellow taste that combines floral, agave, vanilla, nut, and Cognac-like flavors. 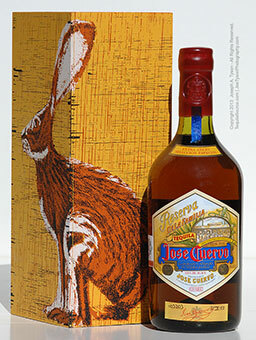 It is typically sipped just like a cognac ideally in a Tequila tasting glass or a snifter. Each bottle is carefully assembled by hand, numbered and dated, hand-dipped in wax and then placed in the handcrafted wooden box. 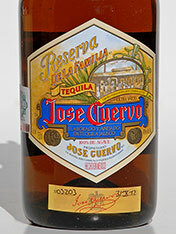 José Cuervo is the best-selling tequila brand on the planet. Every year, it selects a celebrated Mexican artist to create original artwork for the José Cuervo Reserva de la Familia collection boxes. 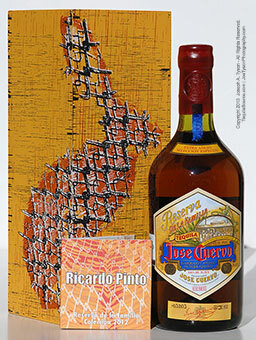 In 2012, the brand chose Ricardo Pinto, who is known for recreating Mexico City’s architecture, urbanity, and vibe. Although born in Mexico City, Pinto has spent most of his life in Guadalajara, where he has studied art and architecture at the University of Guadalajara. He prefers a “very personal and intimate” approach to layering his work, mixing present-day and historical Mexico in a style that is similar to cave paintings. 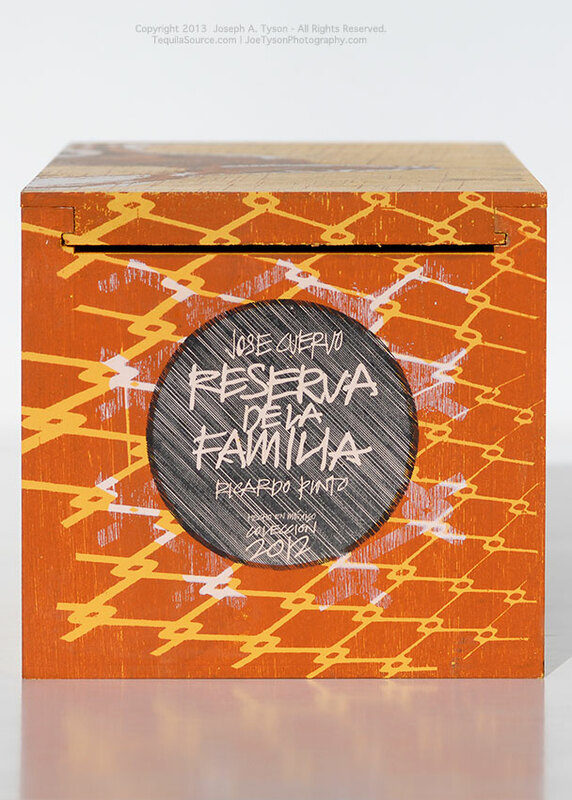 This is showcased on the three José Cuervo Reserva de la Familia boxes, which blend his signature style and modern graphics. 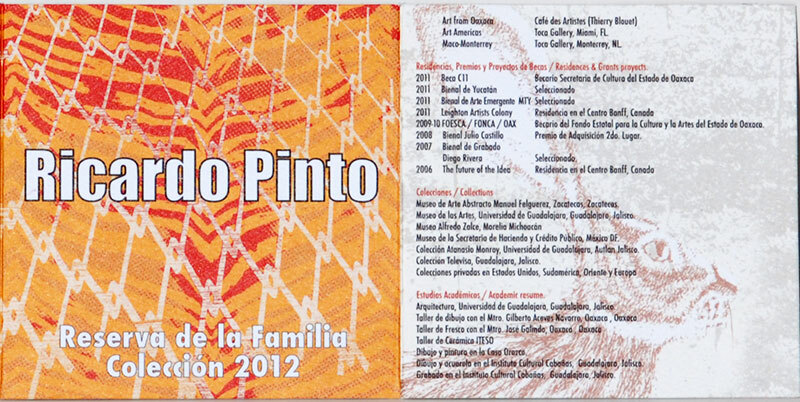 Pinto has had 25 separate exhibitions in Mexico, the United States, and Canada. He was also twice awarded a Scholarship of the Young Creators of the State Fund of the Culture and the Arts of Jalisco. 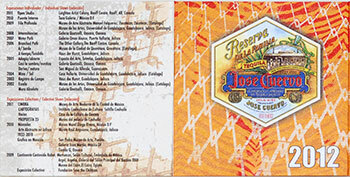 For more than 200 years, the Cuervo family has passed on it strong knowledge in the arts of agriculture, distilling, and blending from generation to generation to deliver Reserva de la Familia,” says Juan Domingo Beckmann, executive director of Casa Cuervo and the 10th generation of Jose Cuervo descendents. In his recent work, "Mesh Culture", he explores many techniques and formats (painting, graphics and ceramics). The relation of the paradox phonetics that implies Cyclone, as a terrirorial limiting element and the Mayna Culture. For the execution of his paints, Pinto searches the beauty and the balance through the subtle esthetics conformatin a sort of "archeological painting": the layers are trimmed by fragments that exhibit what there is behind itself. Nevertheless, "none loses its characteristics". This act results in a correlation of the past and the present. 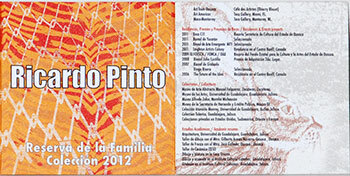 Pinto assures that the poetry of his work resides in how the piece was done. "Although I know how a work will end, I am not interested in the final result; what interests me is the process of its elaboration". His primary purpose is to express himself. "If I complicate my life trying to all well done, what the work is going to show is its perfection, not what I intended to reflect. He has had 25 individual expositions in Mexico, United States and Canada. He has also been awared on two occasions a Scholorship of the Young Creators of the State Fund of the Culture and the Arts of Jalisco. Image near right shows the alternate panels.